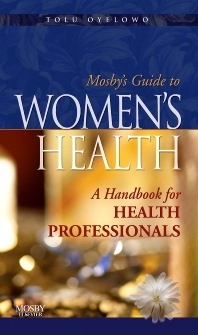 This essential clinical companion provides quick access to a wealth of information on effectively managing common women's health issues. It offers just the right level of coverage for health professionals, with concise, user-friendly protocols for diagnosing and treating a wide range of conditions. In addition to traditional medical information, this book also explores alternative natural treatment options such as physical therapy, nutrition, herbs, chiropractic, and naturopathic therapies. A consistent format throughout makes it easy to quickly find key information. Coverage of common conditions includes a description of the condition, causes, diagnostic procedures, signs/symptoms, traditional medical management, self-help treatments, dietary/nutritional management, adjunctive therapies, and chiropractic treatment options. Features a section on general hormonal health that explores the role of estrogen and estrogen derivatives in maintaining health and predisposing to disease. Addresses other factors impacting women's health such as culture, spirituality, and domestic violence. Convenient pocket size makes this handbook ideal for use in the clinical setting. Goes beyond reproductive issues to address the total health care needs of female patients. A multidisciplinary editorial board provides a well-rounded perspective of women's health issues with just the right amount of information for health professionals.